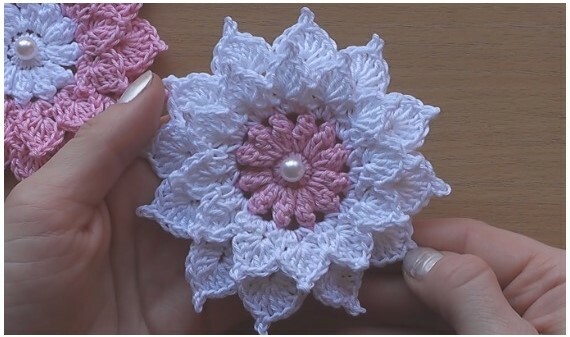 Hello girls, nothing better than beautiful flowers to celebrate spring, many crocheteras will agree how gratifying it is to crochet flowers at this time of year. Our astral changes totally, we have a huge joy inside us. 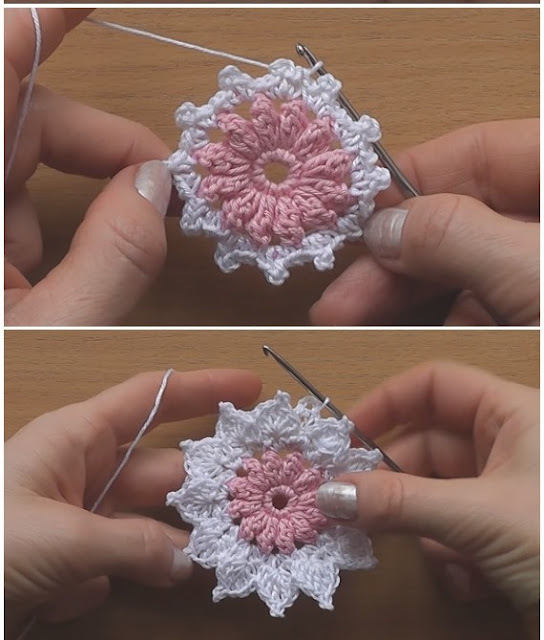 We get excited and wondering where we are going to put this beautiful crochet flower. Crochet flowers are really an inspiration to all of us. Each with its beauty. We have friends who give flowers as souvenirs this time of year for a lunch with friends. Or dinner. We have many friends who make flowers as a key chain to open a door, it is beautiful and of an indisputable taste. These days unfortunately I could not go on a family cousin of a cousin who lives far from my house. Then a few days later my mother brought me a souvenir of that tea. Imagine how happy my heart was when I received a crochet flower in a plastic with a dedication from my cousin. I soon wanted to learn how to make this flower and to show my friends on our web site. It is with great joy that I am here today to share with you this beautiful crochet flower I received from a cousin. Of course you can make these flowers as a vase to put on the table, or in a blanket on your bed, each with your creativity. 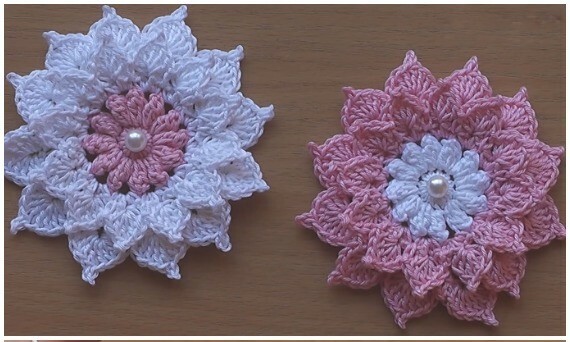 But the important thing is you know that we have one more option, which are the souvenirs of crochet flowers. 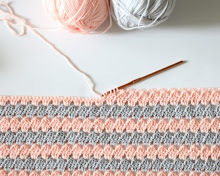 Crocheted girls that are starting today on our web site. I want to thank you all for the great affection I have received these past few days. And to tell all that it is these affections that make me every day thank God for being here being part of this beautiful story. This crochet art really enchants me. A big kiss to all. To the next.